The Night Party recently joined the venerable Richie 1250 on his radio show Stone Love to play some vinyl and chat about songs we spun. You can hear the show in its entirety here. SEPTEMBER: Nippon here we come. AUGUST: Album tracks are mixed and mastered. We've knocked out a limited edition Japan Tour EP featuring six songs of the upcoming album. JULY: The Japan tour's all ready to roll and songs are being prepared for a tour EP. Rest in Peace JJ Cale: he's gone and kissed this world goodbye. MAY : We've slowed down on the live front at the moment to focus on recording. We're laying down tracks with Paul Maybury (doctor of electro-cosmic audio science) at his awesomely expansive Secret Location studio. 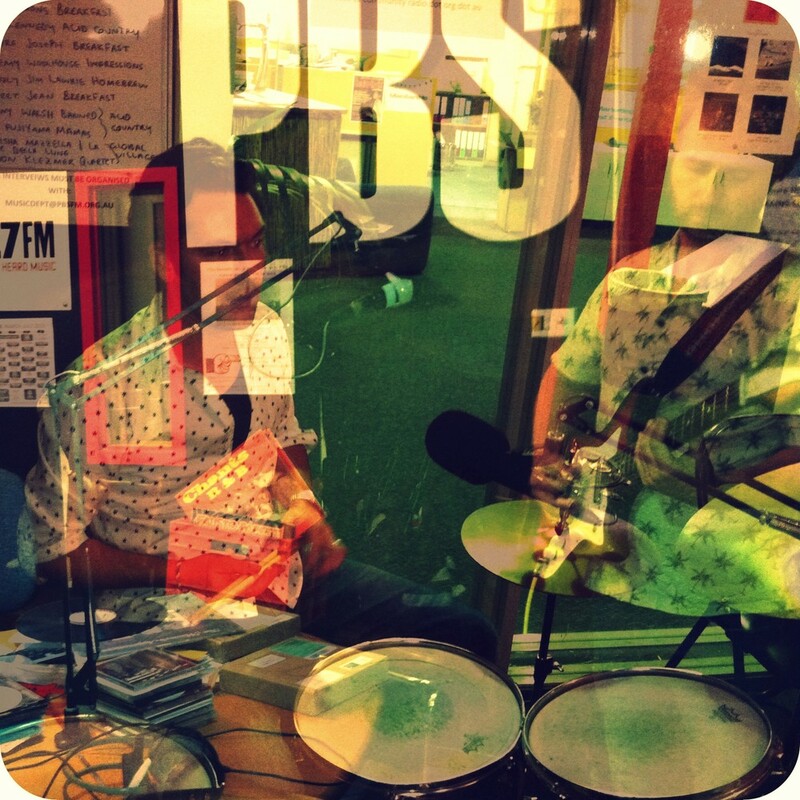 On Friday 22nd of March, The Night Party played live-to-air on Melbourne's wonderful 3PBS FM. We appeared on Richie 1250's STONE LOVE show. Black is the Night, Such a Fool, Love in Vain and Lookout! You can listen to the entire show via the link below. We kick in at about the 33 minute mark.